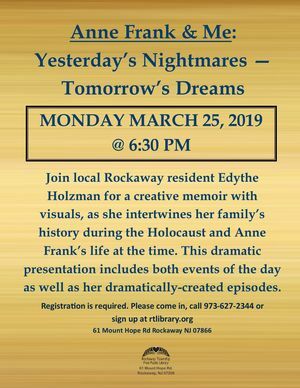 Join local Rockaway resident Edythe Holzman for a creative memoir with visuals, as she intertwines her family’s history during the Holocaust and Anne Frank’s life at the time. This dramatic presentation includes both events of the day as well as her dramatically-created episodes. Registration is required.